Start tracking your mood today! Understand yourself better and take better control of your life with iMoodJournal! You may have stressful job, which makes you feel exhausted at the end of your long day. You may be on emotional rollercoaster as your partner is making your heart tear apart. Or you may simply be curious to know yourself better. 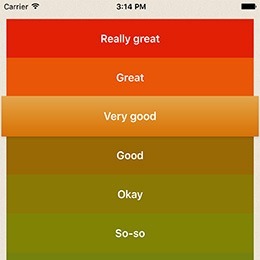 This app may help! Bring your iMoodJournal to your therapist to maximize its positive impact on your life. Mood diary is frequently offered by psychologists and therapists to help us discover facts about ourselves that otherwise slip our attention. You may experience a diagnosed condition like bipolar, OCD, depression, etc. Or you may want to track symptoms of PMS, IMS, PMDD, PPD, etc. To get the best out of the app, please keep regular records (preferably 2 – 3 times a day) of your mood with tags and self-portraits for at least 1 – 2 weeks. The Weekly Cycle chart requires several weeks of records to generate meaningful output. We wish you the very best experience with iMoodJournal. Track your mood as many times per day as you need. Attach self-portrait photos and realize how your mood affects your appearance. Track anything you like: sleep, medication, symptoms, stress and anxiety, energy level, cycles, etc. Edit your records any time and even create them in the past. 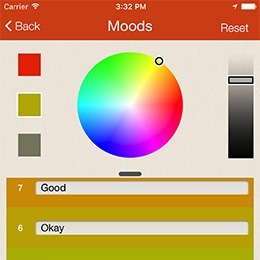 Use the great animated mood history chart to browse history of your mood records and edit them. Recognize time-based patterns in mood. Full mood history, as well as weekly and daily average charts, is available. Discover correlations between mood and measurable essences like medication, sleep, etc. Establish associations between moods and experience by adding #hashtags to records. For example, #friends, #workout, etc. 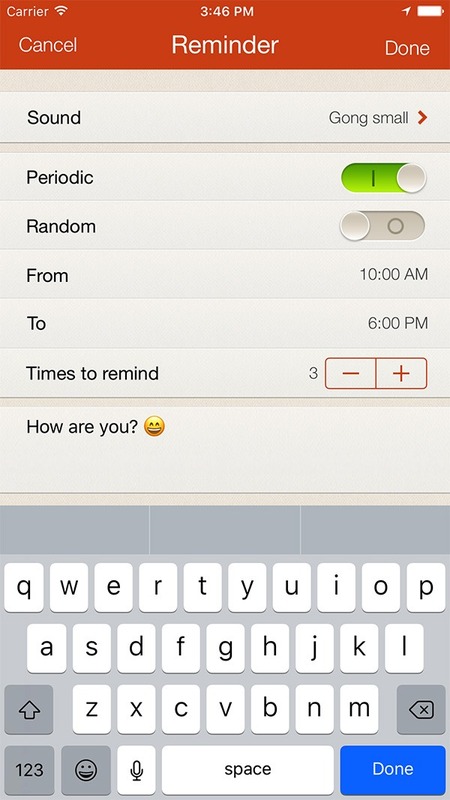 Configure reminders to track moods on schedule as many as needed per day, including random ones. 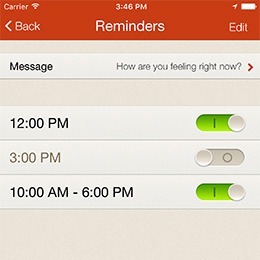 Set reminders and iMoodJournal will notify you to track your mood on schedule throughout the day. 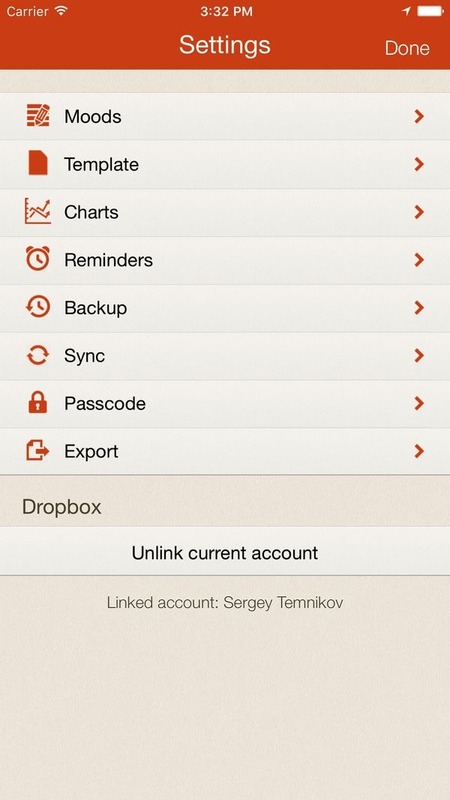 Use backup to Dropbox, iCloud synchronization and protection with passcode to secure your data. App will notify you to perform full backup of your data on schedule. Configure iCloud sync to ensure your data integrity. Share your moods with friends on social networks. Export your data to CSV or PDF and send by email. You can see your moods and some of their stats data on the colorful map if geolocation is enabled. With iMoodJournal, you’ll never give up on your mood tracking. The interface is really user-friendly and easy to navigate through. 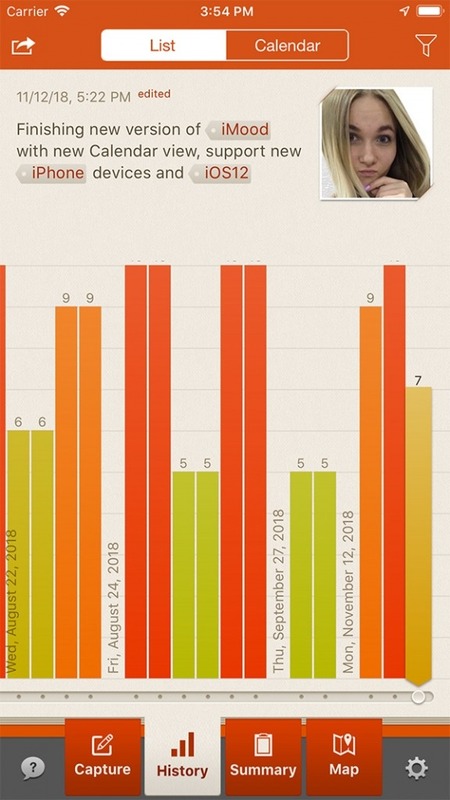 View mood reports in the form of charts – daily, weekly, monthly, or in a landscape chart. They make great representation of your mood changes and their correlation with triggers and other tracked items. 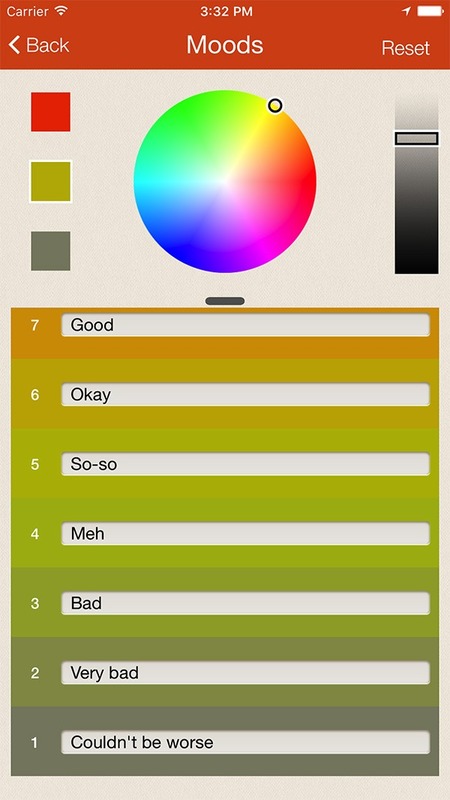 You can create your own color scheme for the mood scale, mood graphs and charts. You can also create your own names for the scale grades, configure reminders, mood record templates, etc. 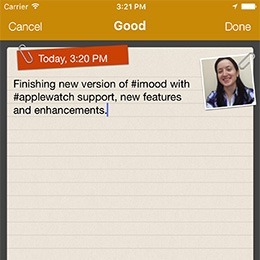 With iMoodJournal, you’ll start tracking your mood in no time! You can do this any time, from any place with these easy steps. Later, you can discover more advanced options in the app. Capture your mood with colorful 10-grade scale. Add description using hashtags for further filtering and analysis. 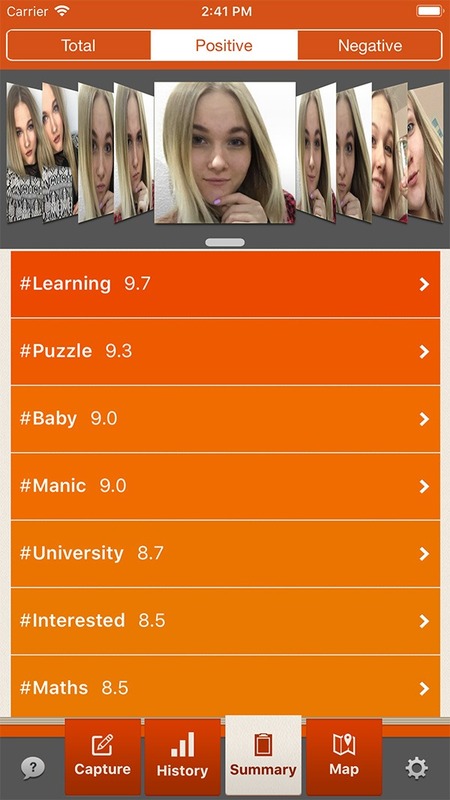 Attach selfie to discover how your mood affects your appearance . 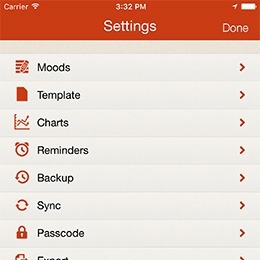 View history of your mood records. 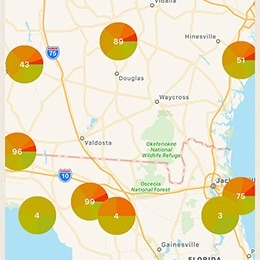 See mood trends on summary charts and on the map. Set periodic and random reminders. Share or export mood records. The bigger landscape chart allows you to find correlations between your mood trends and numeric values you track with special #hashtags. By using pinch-zoom, scale the chart to a required period of time. Then, pull down the upper menu to see the list of tracked numeric values. On the right, you can see the number of times a #hashtag has been used and its minimum/maximum value. How do I delete a mood record? While browsing your History, select a mood record you wish to delete, shake the device or click Action button, then press “Delete” – iMoodJournal will suggest deleting a selected record. If you want to delete all records in the app, delete iMoodJournal from your device and reinstall it. All records will be lost, and the app after reinstall will have no records. Please note that the only way to have your data saved during reinstall procedure is to have backup done regularly to Dropbox, or have your iMoodJournal data synchronized in iCloud. This will allow you to restore your data after removing and reinstalling the app. How can I edit an existing mood record? iMoodJournal’s editing experience is designed to aid reflection rather than retrospection, i.e. by all means you are encouraged to spontaneously grasp your experience in the present moment. But you can edit any component of your records. You can do so by tapping arrow button while viewing your record on the history chart or in photo gallery, and then by tapping “Edit:” button that appears on the screen – usual editing dialogue will appear. You can now add tags, correct a typo, or just add some notes. How do I ensure that my records remain private if I leave my iPhone unattended? We have implemented in-app Passcode Lock that can be enabled in Settings. It prevents occasional users of the phone from reading your diary or changing your settings (yet you can add new mood records without entering the passcode). 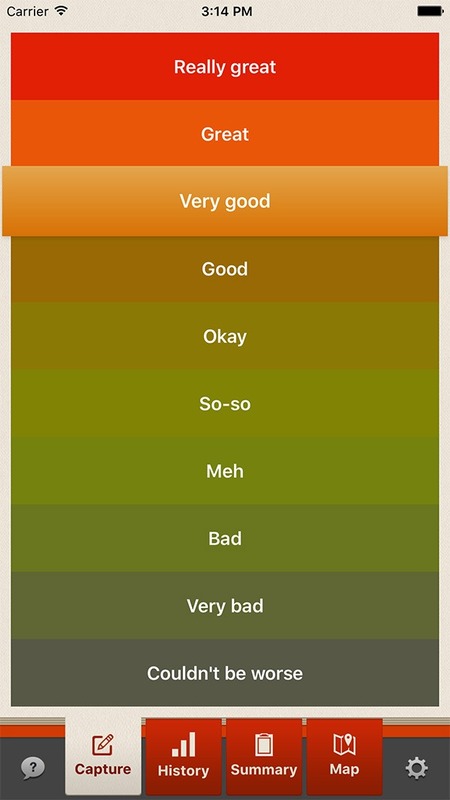 Can I customize labels or colors on mood scale to accommodate it to my emotions? Yes, you can do this using the option “Moods” in Settings. However, we encourage you to treat the scale as a characteristic of your general wellbeing and make notes about emotions using hashtags like #angry or #cheerful. 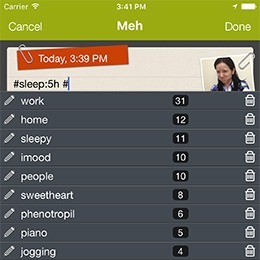 Can I track sleep & medication with iMoodJournal (or any other measurable essence)? Yes, you can use quantitative hashtags like #sleep:8hours, or #aspirin:1pill. Note: there should be no spaces between your tag, a colon and a numeric value with a descriptor. You’ll be able to view all records tagged #sleep by tapping the hashtag anywhere in the app (with one exception of record editing screen). You can see correlation of mood and other things tracked with quantitative hashtags by clicking on chart icon in the upper-left corner of the Summary graph to access a landscape mode. By using pinch-zoom, scale the chart to a required period of time. Then, pull down the upper menu to see the list of tracked numeric values. On the right, you can see the number of times a #hashtag has been used and its minimum/maximum value. For instance, it is possible to track depression and hypomania at the same time with iMoodJournal, using quantitative hashtags. Users can assign a level to depression and/or hypomania (as if they used 10-grade scale) and add corresponding hashtags to mood records, for instance, #depression:8lvl and #mania:5lvl. Later, they are able to visualize both graphs representing the level of depression and hypomania against mood graph on the landscape chart. 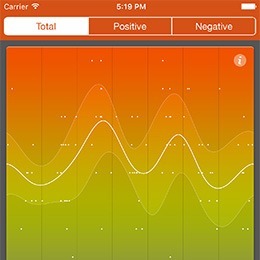 You can assign level to stress, track it and later visualize against mood graph in the same way. Can I view my data outside of the app? 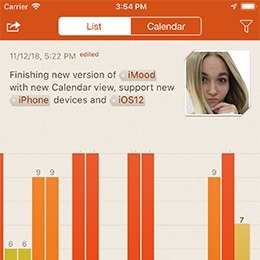 Yes, iMoodJournal allows you to export your mood records to Excel or Numbers in Comma-Separated Values (CSV) format, or to a printable PDF document that you can also email to your doctor, save to Dropbox, or save to your computer using iTunes. How can I ensure that my data will not be lost if I lose my iPhone, buy new one? In both cases you are protected by backups that you can make using Dropbox manually or automatically using Apple’s iCloud free service. You just restore your new device from the backup and all your data will be there. If for some reason your apps did not download automatically after restoring your device from iCloud backup, just install iMoodJournal again, your old data will be there intact. How can I ensure that my data will not be lost if I delete the app accidentally? You can use free service called Dropbox to backup your data and restore it from the backup. This function is available in Settings. Can I add a new mood record in the past if I missed a day? Yes, you can change the date and time of recording when creating or editing a record. To do this, click on the date and select the required date and time. Can I exchange data between devices? Yes, you can exchange data and photos between your devices using iCloud or Dropbox services. Please make sure synchronization is enabled in iMoodJournal Settings. Each device connected to Internet can have actual data. 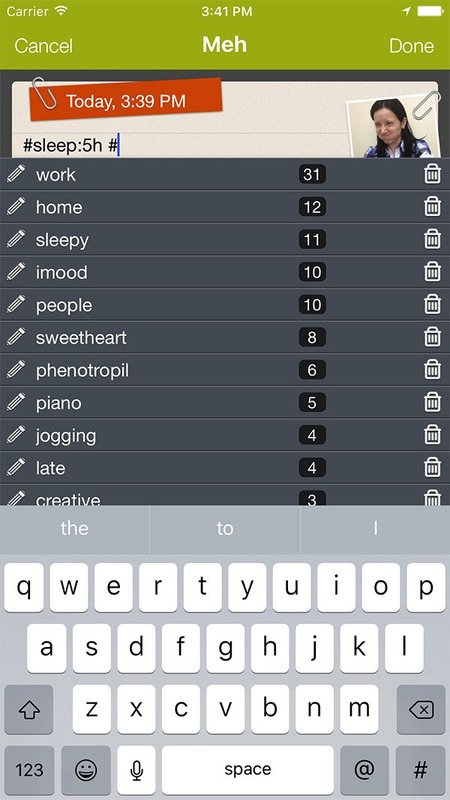 You can create some predefined text for future mood records. For instance, you may need to track the same medications each day, or perform the same everyday check – sleep, anxiety, etc., so you can go to Settings/Template and write down the list of meds or things to track, or create some text. Next time, when you create a mood record, it will contain the text from the template. Why a hashtag was added to Positive or Negative list? The app calculates automatically an average value for all mood entries in which the hashtag was used. The values that are higher than 5 are considered positive, and the ones below 5 are negative. So, for instance, if you see the tag #work with the average value 6.3, it means that the average mood in the entries with #work hashtag is 6.3, and the app considered it “positive”, and you can see the tag in the Positive list. Can I track depression and hypomania, sometimes both at the same time? Yes, you can do this with quantitative hashtags. Assign a level to your depression and/or hypomania (as if you used 10-grade scale) and add corresponding hashtags to your mood records, for instance, #depression:8lvl and #mania:5lvl. Later, you will be able to visualize both graphs representing the level of depression and mania against your mood graph on the landscape chart. 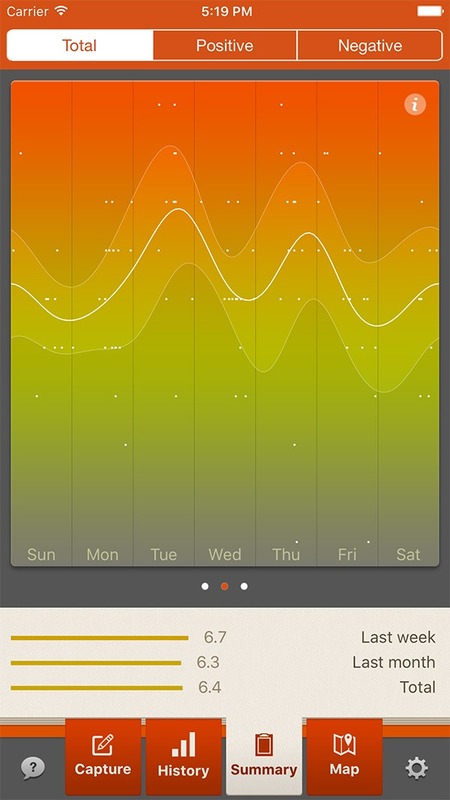 Why we love it: In addition to your moods, this app will help you keep track of sleep, medications, and energy levels. Disruptive mood swings can be a warning sign of an underlying mental condition like bipolar disorder. Since early detention is essential, physicians recommend that patients track their thoughts, emotions and experiences on a regular basis to help them identify any unusual patterns. Some psychologists find the app — which takes selfies to help you realize how your mood affects your appearance — very useful. Uses touch ID, has reminders you can set, beautiful graphs, and allows you to track and see long-term changes in mood, and has space for journaling. It also allows you to keep track of your medications and your sleep. 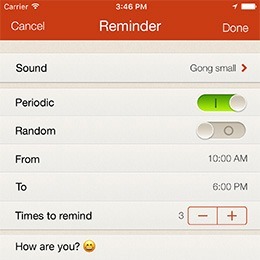 You can also change the words to record your mood. If you’re bipolar, you might change “really great” to “manic”or “hypomanic”… It does allow you to export it into a PDF so you can easily share it with your therapist or doctor. I suffer from Major Depressive Disorder & have found this app to be of GREAT assistance. After 18 years of dealing with this condition, this app has enabled me to see clear positive & negative patterns within my day to day life. It is more than just a simple journal documenting moods, it allows you to predict & perhaps prevent certain types of moods as best you can. I highly recommend this app. I don’t write many reviews because so many apps are redundant of one another and it’s information overload. 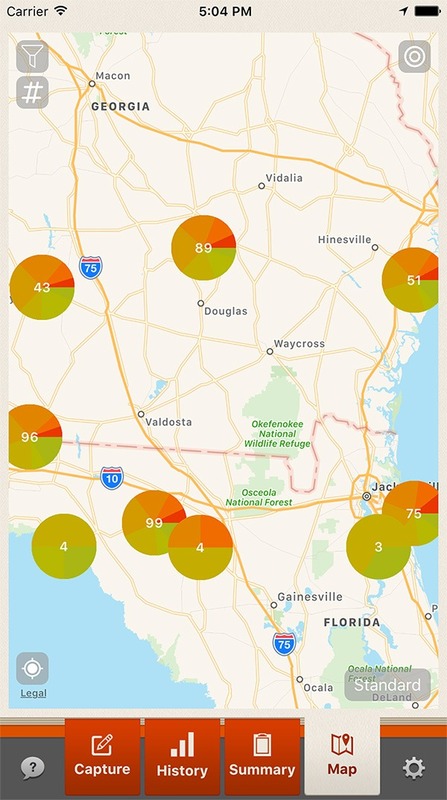 This app is new and different in the great way it collects and reports your data. It works flawlessly, with many well thought out settings. Absolutely worth the price! 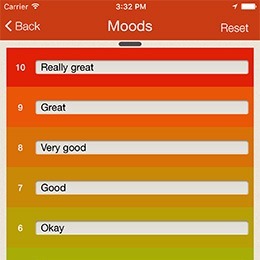 I highly advise this app over other mood trackers! Have used just about every mood tracking app for my bipolar and this is the only one that strikes the balance of simplicity, gentle reminders, ease and speed of use along with long term benefit of graphs etc. Can be customized with notes or tags on individual entries or kept quick and simple by just tapping your mood (on a pre-made and customisable scale of 1-10). As it comes it’s totally simple and very usable for most people, but if you want you can tweak the times of alerts reminding you to input a mood, or change the default moods to suit your lifestyle better. Like I said I’ve used them all and this is the only one that I rely on now to keep daily track of my moods. All in all, would highly recommend! Best app ever! I kid you not, I used to be one of those people who set a brand new diary for the year and pledged to write in it every day – I always failed. 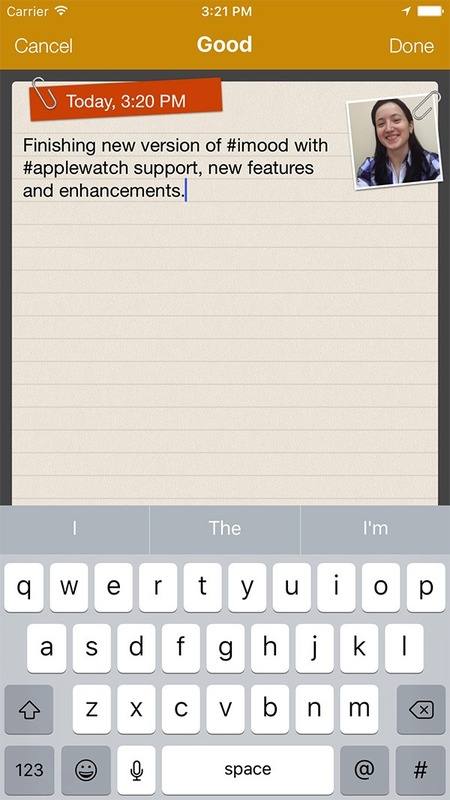 This app is an innovative approach to diary writing! I have never missed a day since October last year when I purchased it! I highly recommend this app! You will not be disappointed, I guarantee you. We provide full developer support and try to answer your messages as soon as possible! Inexika Inc. is a software development company with the unique blend of enterprise level software expertise. Founded in 2002 as eQuality Solutions Inc. specifically for IBM Lotus Notes/Domino services, company extended its professional domains to Microsoft, Google Apps, Web App and Mobile Applications Development. Please visit www.inexika.com to learn more!